You all pulled it off again! This week proved to be another fabulous edition of the Frugal Friday Linky Party!! If you didn't get a chance to check out the Frugal Decorating goodness, the links are still up here. Bliss Bloom Blog shared these wonderful Washi tape easter eggs. How pretty are they? 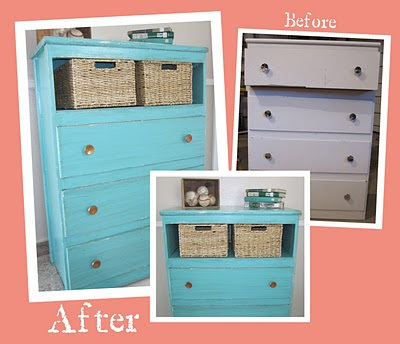 I just loved this bright and cheery dresser makeover at Peppertowne! 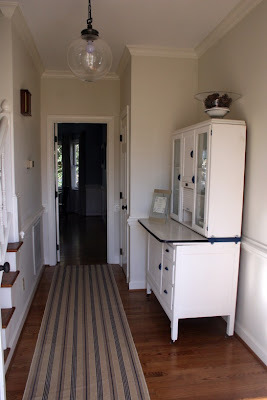 I love the serenity of the entry hall redo at Just the Right Angle. 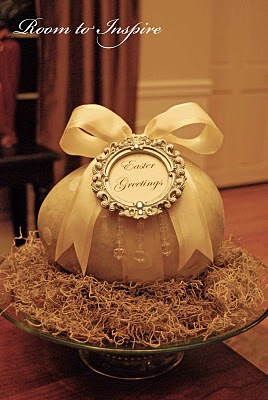 And finally, this amazing Foam Easter Egg decoration at Room to Inspire. I've got to make me one of these little beauties!! I will be posting more about my Master Bedroom redo in the coming couple of days. I have had so many questions about it, so don't worry...I'll try to address them all. If you haven't had a chance to vote over at So You Think You Can Decorate, please go over and vote today!! All of these are so inspiring! Beautiful work! I LOVE that entryway. I'm heading over to see it now! Thanks! Oh my goodness-- Thanks for the feature! I love your blog and all the inspiration that comes with it. I love that blue cabinet. The furniture redo's are truly my favorite part of reading blogs. So many people are full of talent. Another great week of wonderful redos!! !